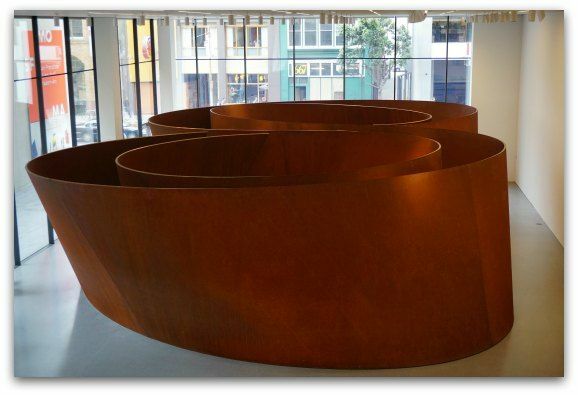 The SF Museum of Modern Art is a one of the most popular museums in San Francisco. It's located steps from Union Square in the South of Market (SOMA) District. This museum just did a major expansion and reopened after being closed for three years. Inside you will now find 10 floors of artwork, which makes it almost three times its original size. I also love that they added about six times more public space with several pieces you can see at no cost. The museum houses more than 30,000 works of art. In its permanent collection, you can see pieces from well-known artists such as Henri Matisse and Diego Rivera. You will also find beautiful photography, modern architectural pieces, and several other modern paintings. The front of the SF Moma from the Yerba Buena Gardens. The new SF Museum of Modern Art is amazing. It's well laid out with plenty of room to look around without it feeling too crowded. I usually spend at least 2.5 to 3 hours here each time I visit. It's the perfect treat for anyone that loves modern art. The SF Museum of Modern Art galleries are now open Friday - Tuesday from 10am to 5pm. The MOMA stays open later on Thursdays, until 9pm. The free public spaces open an hour earlier than the galleries, at 9am. The museum is closed on Thanksgiving and Christmas Day. Last admission is half an hour before closing. Buy your ticket online today through City Sightseeing. I recommend buying through them as you will almost always get a small discount off your ticket when you purchase it through them online in advance of your visit. There may also be a small fee for some of their traveling exhibits. 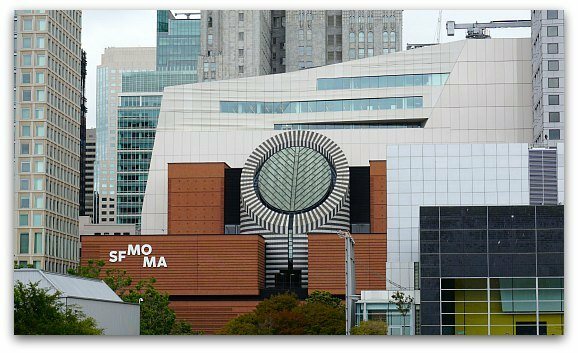 The SF Museum of Modern Art currently does not offer any free admission days. However, they do have a large public area (over 45,000 square feet) that is admission free. You are free to wonder around this area and check out the free art displays during their regular museum hours. You can also save on your admission by purchasing one of San Francisco's great discount passes. There are more than a dozen to choose from and some of them include admission to the SF Museum of Modern Art. These are the ones that I recommend checking out before buying individual tickets for your stay. City Pass: The most popular discount card for San Francisco is the City Pass. It includes admission to the SF Museum of Modern Art. You will also receive a ticket to the California Academy of Sciences and the Aquarium of the Bay. You will also get a ticket to a 60-minute bay cruise as well as a multi-day pass for our public transit system called Muni. You can use the pass over multiple days, so you don't have to squeeze it all into one day. I recommend using it over the course of three days, so it doesn't feel so rushed. This card offers you the chance to save more than 40%. Go Card: The Go Card is one of our more popular discount cards. It's offered by Smart Destinations and includes admission for more than 25 SF and Bay Area attractions. This card is based on the number of days you want to visit attractions. You will buy a 1, 2, 3 or 5 day pass and then see as much as you can during that time. You can also just select the attractions or the museums you want to see in order to save. It includes admission to the SF Museum of Modern Art, the California Academy of Sciences, the Exploratorium, and more with a savings of up to 50%. Mega Pass: The Mega Pass is another great deal for admission to the SF Museum of Modern Art. It's a pass that offers the City Sightseeing Hop On Hop Off Bus Tours as well as admission to top museums and attractions around San Francisco. You can purchase the card for 24, 48 or 72 hours. During that time, you will have access to the Hop On Hop Off bus so you can quickly get around town to see all of our top attractions. The newly expanded SF Museum of Modern Art currently has 19 exhibits. Four of them are ongoing. The others are temporary exhibits. New exhibits will be brought into these spaces regularly. I always love to point people in the direction of the most famous or popular pieces in each museum. These are just a few of the highlights I recommend you check out during your visit. Note: They rotate their pieces often, so this list is subject to change. The SF Museum of Modern Art first opened in 1935. It was originally called the San Francisco Museum of Art. It was the first museum on the west coast dedicated to modern art. It's first home was on the 4th floor in the War Memorial Veterans Building in the Civic Center District. They added "modern" to the name of this museum in 1975. 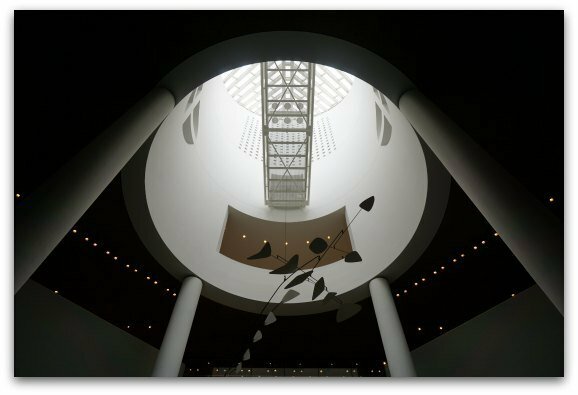 The SF Museum of Modern Art was one of the first to showcase photography as fine art. The museum in the Civic Center District closed in 1994 and they opened the facility on 3rd Street in January 1995. Over the years, the museum is gifted a variety of important pieces from collectors from around the world. As the museum expanded, they needed more room. The SF Museum of Modern Art closed in 2013 for their large renovation and expansion. The new museum which is almost three times its original size reopened in May 2016. The skylight in the new lobby at the SF Moma. 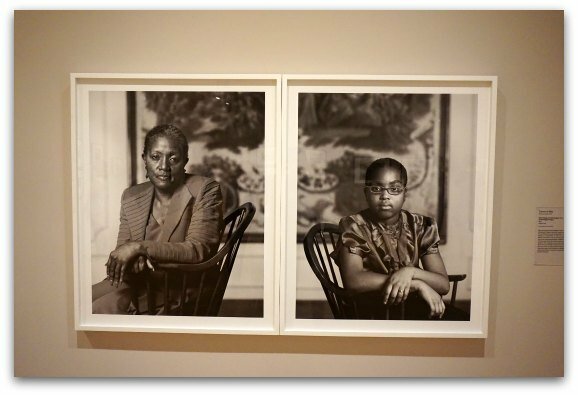 A sample of a photography exhibit. 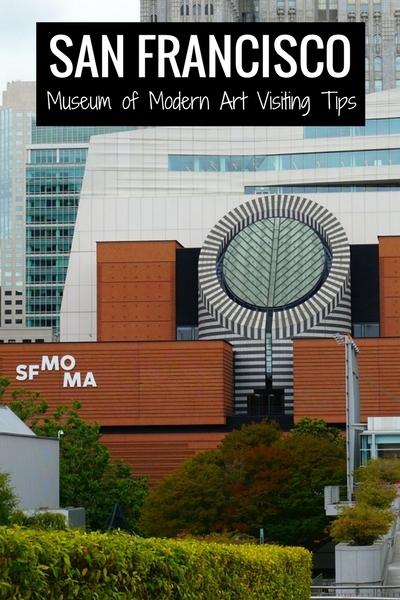 The SF Museum of Modern Art is easy to get to from all around San Francisco. It's about a half mile from Union Square, across the street from Yerba Buena Gardens, and just about a block from most of the Moscone Center. However, if you do drive, there are several parking options nearby. Here are a few of my recommendations. Parking rates can change, but I've given you some estimates below. 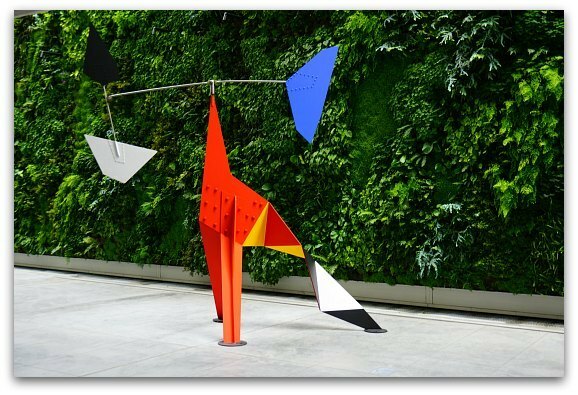 Museum of Modern Art Lot: Right behind the museum, you will find this indoor parking garage. The rates are $4 for each 30 minutes or up to $35 for the entire day. The address is 147 Minna Street. Hotel W - Lot: This lot is less than a block away at the Hotel W at 181 Third Street. The rates start at $15 for the first hour and $14 an hour after that. Maximum daily rate is $64. Moscone Center Garage: You will find it at 255 3rd St about a block away from the SF Museum of Modern Art. Parking rates range from $1 to $5.50 an hour with a maximum daily rate of $29. Fifth & Mission Garage: This is another large lot about two blocks away at 833 Mission Street. Parking rates here are about $1.50 to $3.50 an hour. Daily rate is more than $30. What else can I help you with before you visit the SF Museum of Modern Art?